Happy Friday, friends! It has been a long week and now we can all let out a collective sigh of relief that the weekend is finally here! 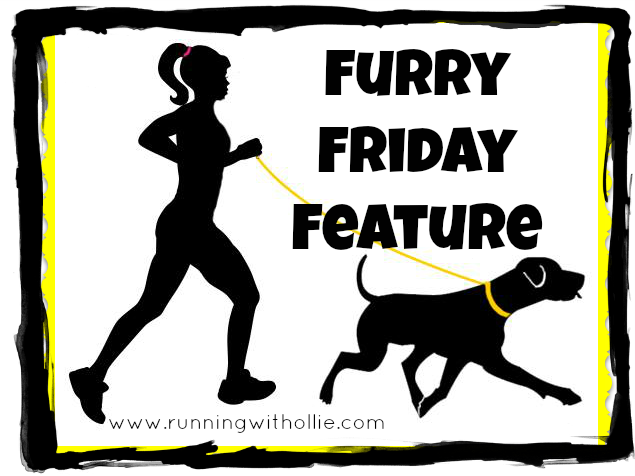 Welcome to Furry Friday Feature, a monthly post that features a runner and her (or his) favorite furry running partner. 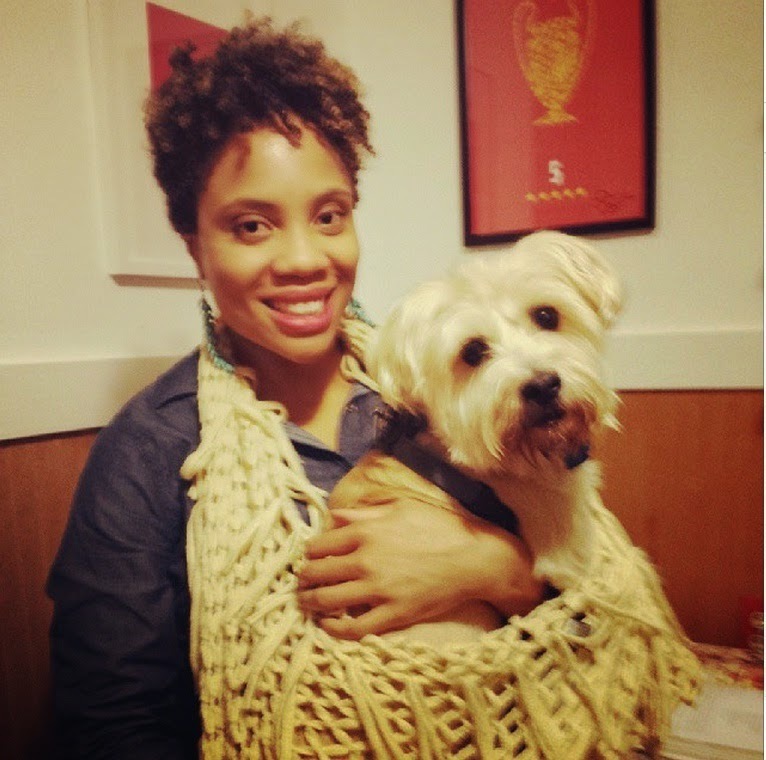 I am happy to introduce you to our new friend Margaux and her precious boy Bosley. 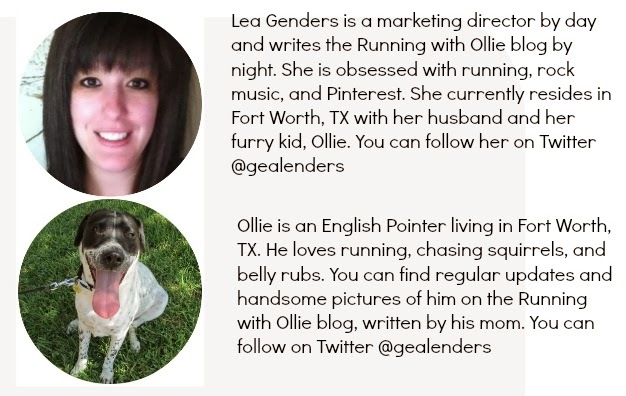 I love all these features with small running dogs! Who knew those little buggers could keep up the pace? Way to go Bosley! Marqaux and Bosley - they both have sweet faces. Bosley is a six-year old terrier mix. We're not exactly sure what he's mixed with, we think a miniature Schnauzer. My favorite place to run with Bosley is a bike trail in a nearby Forest Preserve. The path follows a creek through lots of trees and great scenery. I've never raced with my dog. I'm always afraid he'll be accidentally stepped on or something! Finishing my first half marathon was a very fulfilling thing. I ran in my hometown of St. Louis through lots of hills that I didn't train for! To keep going. Dogs will run with you through anything; rain, snow, heat. They're just happy to be with their masters. Dogs teach us to persevere and enjoy life. I started my running journey with Bosley. In the mornings I started to run with him until I eventually built up enough stamina to run my first 5K in 2009. Thanks so much to Margaux and Bosley for sharing their story with us! You can keep up with Margaux on her blog, Facebook, or Twitter. <-- Seriously, go follow her. Leave a comment and give Bosley some dog blog love! Thanks so much for the feature, Lea! What a cute pup, thanks for sharing!